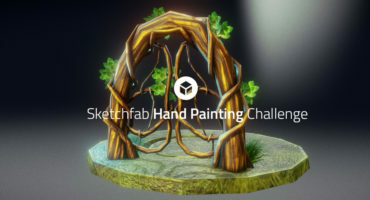 Welcome to the second Sketchfab Store challenge! This week’s seller exclusive challenge focuses on one of the top selling categories on the store: architecture. It might sound simple but be sure to read on to find out about how to make your hard work more likely to sell even before you start modelling. TL;DR: create a building or other architectural 3D model – or better yet several models to make a pack – ready to be used in an architectural visualisation or city scene. 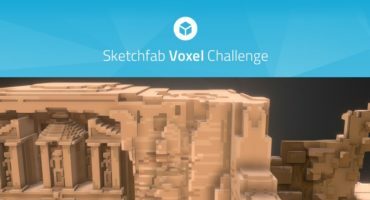 Upload it to the Sketchfab Store, set a price and tag it #StoreArchitectureChallenge. Foreground / Background. You might think that modelling a single building or skyscraper is a sure win, but consider what makes a great scene: scenery! Think modular, think generic. Create 3D models that work as a set and can be used as building blocks that a designer can use and re-use to build up a scene from scratch. Consistent style. Whether you create in a low poly or hi-res PBR style, stay consistent and think about how your models could work with other sets and packs a buyer might be considering to use. The more the merrier. As well as the ‘hero’ element (e.g. a tower block, museum, stadium, cinema) think about all the things that go into completing the scene: road sections, lamp posts, benches, trees, low poly people, manhole covers, traffic lights, bridges, rain tracks, car parks, toll booths, stairs, fire escapes, ramps. Take inspiration from your surroundings – break down your environment into all the little details that combine to make a real space. Seller Tips For more general advice on making your 3D models their most sell-able, be sure to check out the Seller Tips on the Forum. To get access to the Store forum, please apply here. Tom, Bart, Avtandil, Paul Sketchfab Community & Store Team. A $100 Sketchfab sponsored boost for a post about your work on Facebook, targeting known buyer audiences. Once you’ve created your scene, upload it to Sketchfab, tag it #StoreArchitectureChallenge.